Be quick on this charming McCormick Ranch home located in the prime 85258 zip code! Just a short walk/bike ride away from The Vig, Starbucks and 'Grove'(Coming Soon). 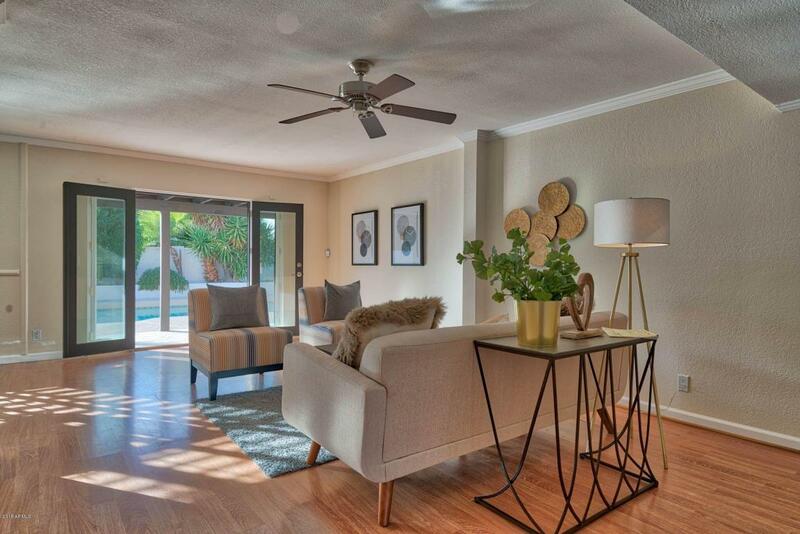 This gorgeous, move in ready home features: NEW interior/exterior paint throughout, delightful family and living rooms, eat in kitchen, indoor and outdoor fireplaces...Highlighted by a wonderful backyard w/sparkling pool, built-in BBQ, mini fridge, citrus trees and plenty of privacy. Only minutes to Old Town, Scottsdale Fashion Square, Spring training and some of the valley's best golf. An ideal opportunity for the savvy buyer!